Celebrating a special occasion? 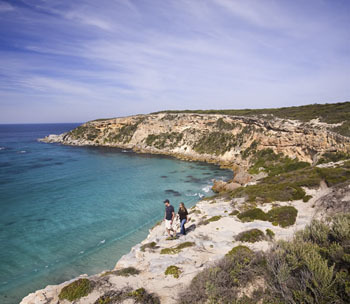 This 14-day escape has you exploring Sydney, Kangaroo Island, Adelaide, Daintree Rainforest, and Lizard Island. Escape the ordinary on this Romantic Escape. Your first stop is the iconic Sydney. Enjoy your first day wandering around this beautiful city taking the time to recover from your long journey. For the ultimate introduction consider an afternoon sail on your private yacht, soaking up the sites of Sydney Harbour with your skipper. After a nights rest at the luxurious Park Hyatt, you will be whisked away by seaplane flying through the heads and along the Northern Beaches before landing at Cottage Point Inn. Enjoy a leisurely 3-course meal overlooking Hawkesbury River and the surrounding bush. 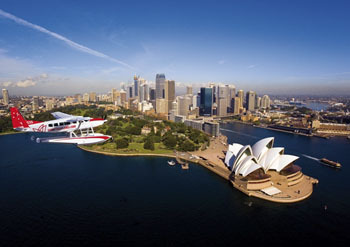 On your return flight, you will enjoy aerial views of the Opera House and Sydney Harbour Bridge. Enjoy your last day wandering around the city exploring. 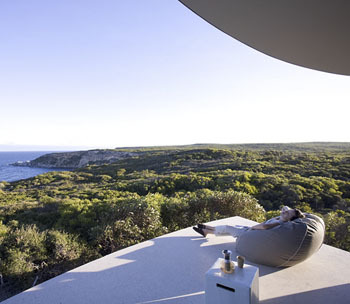 After a few days in the city, we’re flying you to Kangaroo Island (via Adelaide) where you can marvel at the Australia wilderness from Southern Ocean Lodge. Wake up seeing the kangaroos and wallabies from the nearby dunes, creatures you’ll likely get close and personal with. During your stay you might like to try your luck at beach fishing, walking for miles on the white sand beaches, mountain biking over the dunes, or kayaking out to sea. Not the active type? Then try your hand at a cooking class learning about the island produce and seafood or indulge in one of many spa treatments. Romantic bliss. 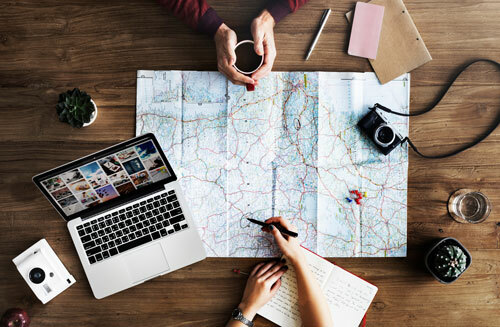 Return to Adelaide where we can arrange an afternoon wine tour to the nearby Mclaren Vale, recognized for many accolades or enjoy an afternoon exploring the Central Market, shopping at Rundle Mall or visiting the gorgeous botanical gardens. 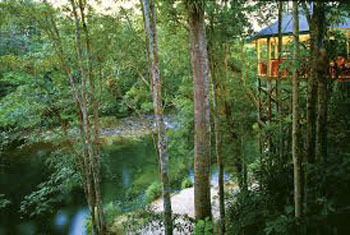 Explore the Daintree Rainforest from the luxury of Silky Oaks Lodge. Take a relaxing stroll along the lush riverbank, explore the local area by bike, paddle a canoe or snorkel the Mossman River, join a guided rainforest walk or play tennis. Whichever pursuit you choose, the end of vigorous activity demands rest and rejuvenation, so indulge yourself with a relaxing treatment at The Healing Waters Spa. 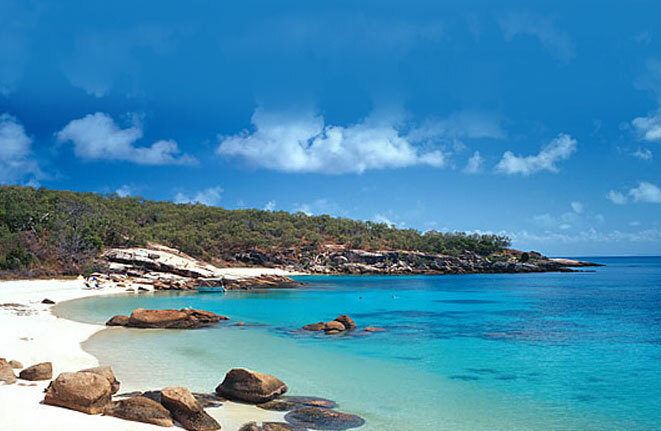 Finish your stay in secluded luxury at Lizard Island. Located on the north section of the Great Barrier Reef and arguably the best diving and snorkeling in the world. Be sure to venture to the Outer Reef to experience bigger fish and reef formations only a 50-minute boat ride or charter away. If you prefer to stay on Lizard Island, the resort has a selection of catamarans and glass bottom paddle skis to enjoy or simply relax on any one the 24 private beaches.